Today I'm going to speak about title insurance because a lot of viewers have been asking about it. It's a very important thing to have, so I'll be explaining it to you. Title insurance is an insurance that protects buyers and lenders against title claims that previous owners might bring against a current owner. It's important because it will protect you against liens that don't show up in a title search. Title insurance will protect you against dozens of financial problems that will not show up in a title examination of the property. You'll be protected against forgery, estate issues, bankruptcies, and past lawsuits, among others; it's the only thing that's going to protect your title to the property! The expense for title insurance is very minimal when you consider the fact that purchasing a home will likely be the biggest financial investment you make. Title insurance is a one-time charge that has the potential to save you thousands of dollars down the road. While the price varies by state, it is always worth it to protect yourself and your property! 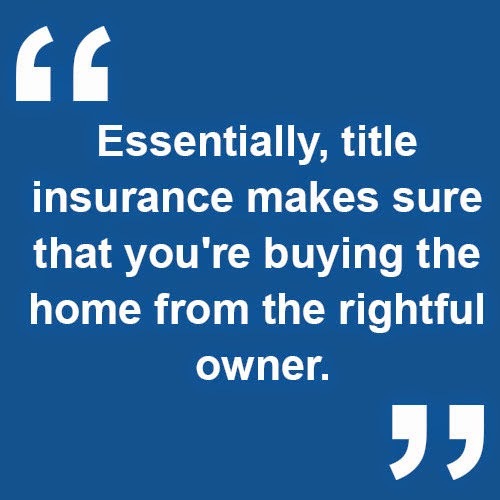 Essentially, title insurance makes sure that you're buying the home from the rightful owner. 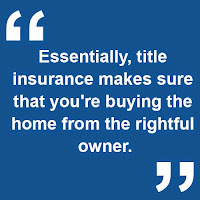 Title insurance is relatively inexpensive and it's easy to get coverage. There really is no reason why you should not be using it!